Built with the same features as the HT 102 pole pruner, but with a larger displacement engine for tough cutting jobs. 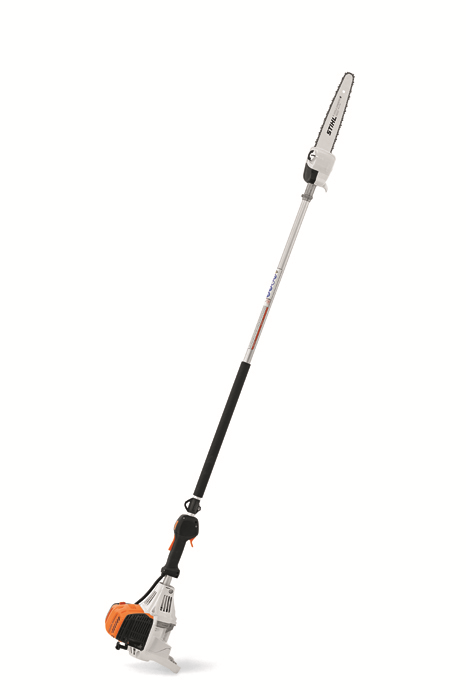 The STIHL HT 132 features the same 7' fixed-length shaft as the HT 102, but has 35% more power for tough cutting jobs. Its lightweight gearbox improves maneuverability and reduces user fatigue compared to previous models. The HT 132 also features a vertical pleated air filter, large fuel tank, simplified starting and one-touch stopping. The pole pruner comes standard with the 1/4" STIHL PICCO™ Micro™ 3 (PM3) saw chain, exclusively designed for STIHL products, for smoother, cleaner cuts. If you’re a tree care professional, this pruner has what you need to power through your day.